Lem Stanislaw. 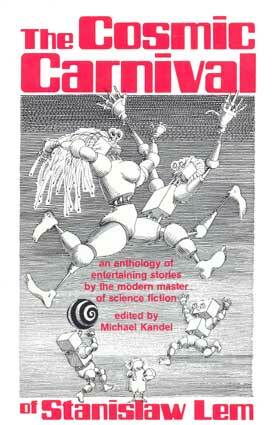 The Cosmic Carnival: An Anthology of Entertaining Stories by the Modern Master of Science Fiction / Cover illustration by Daniel Mróz; Preface «A Portrait of the Artist as a Thing Antediluvian» by Michael Kandel (P. vii-xi); Edited with commentary by Michael Kandel. – New York: Continuum, 1981. – 272 pp. ISBN 0-8264-0043-4.